Growing up, one of my favorite after-school snacks were graham cracker & frosting sandwiches. Yum. 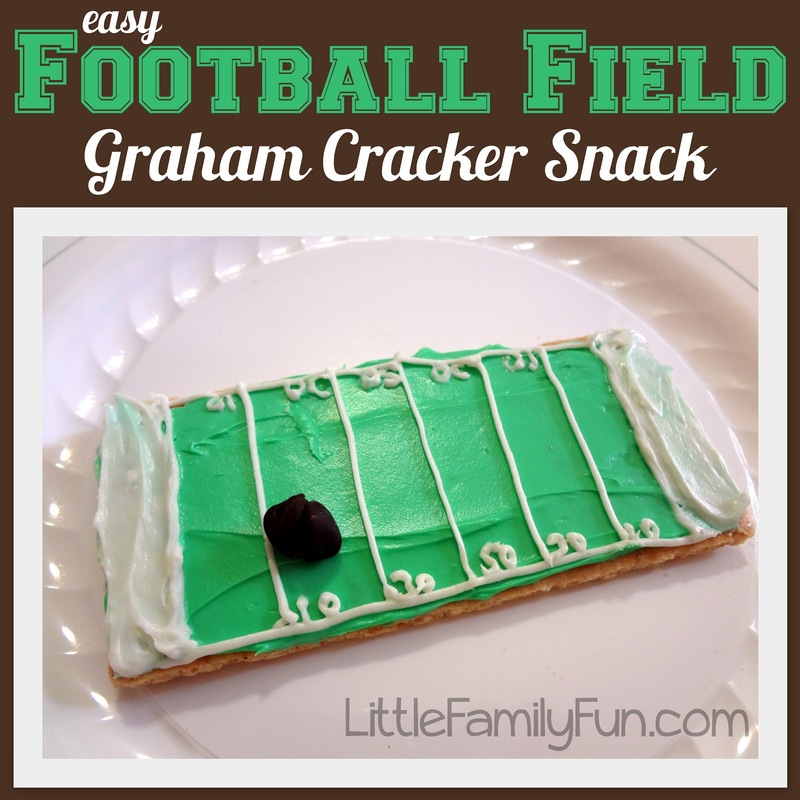 Using those same lovely ingredients, you can also create a simple and fun FOOTBALL FIELD snack! We made these to go along with our FOOTBALL themed week, and the boys LOVED them!!! Put a few dollops of white frosting into a bowl and add green food coloring. Lay out whole graham crackers and spread green frosting all over them. Put a big spoonful of white frosting into a ziploc baggie and squeeze to one of the corners. Clip a small hole out of the tip of the corner and squeeze the white frosting out to draw lines and numbers on your football fields. Spread some white frosting on each end of the crackers to be the End Zones. Get 2 chocolate chips. Wet the bottoms of them and stick them together to make a "mini football," and place it on the field. Great! We're thinking (way) ahead to all the football-themed Super Bowl foods :D Mmm.